Eye Protect System delivers incredible protection to Essilor lens wearers. Embedded into the lens, it protects against harmful UV and Blue-Violet light* whilst maintaining an aesthetically clear look. Eye Protect System offers wearers front and back of the lens protection against harmful light that has been identified as overtime one contributing factor of eye diseases (cataracts, AMD)(5). It uses a unique process to support your visual health by partially filtering harmful Blue-Violet and absorbing UV light. Eye Protect System ensures this level of protection is delivered in an aesthetically clear lens - meaning no residual yellow tint and no blue reflections on your lenses. Get Eye Protect System as part of your lens solution from a partnered optician. 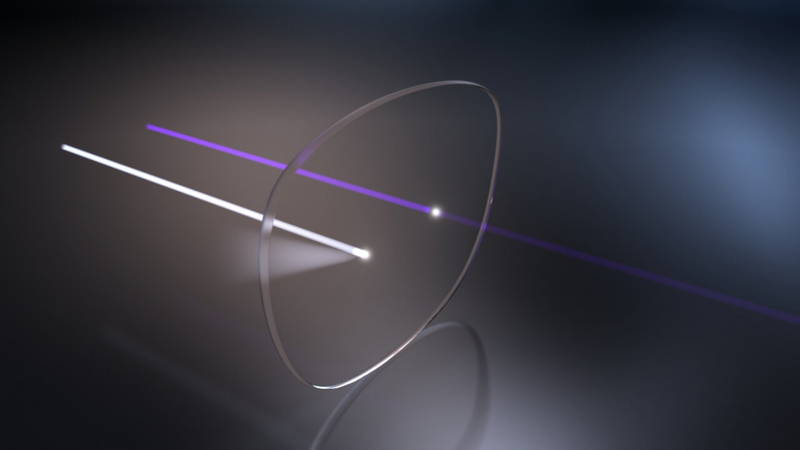 The first Varilux lens to dramatically reduce the need for head movement. Varilux X series lenses deliver outstanding sharp, continuous and fluid vision across all vision zones so you can see near to far and everything in between. A Varilux lens that provides quick adaptation and sharp vision, perfect for first-time varifocal wearers. Varilux E series lenses reduce image distortion for a more comfortable experience. (2)Orma 1.5 does not absorb 100% UV light. (5) McCarty CA, Taylor HR. A review of the epidemiologic evidence linking ultraviolet radiation and cataracts. Dev Ophthalmol. 2002; 35:21-31. Sunlight and the 10-year incidence of age-related maculopathy: The Beaver Dam Eye Study. Arch. Ophthalmol., 122, 750-757. New discoveries and therapies in retinal phototoxicity, Serge Picaud et Emilie Arnault, Points de Vue N°68, Spring 2013.